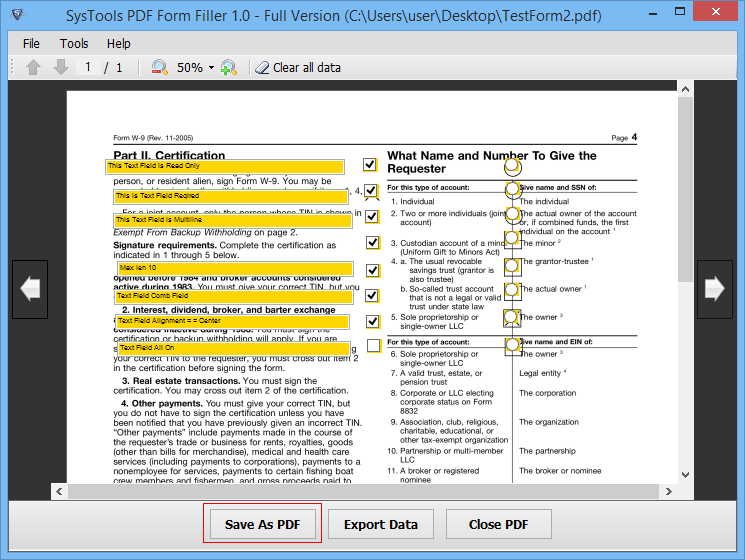 Tool can open, edit & extract data from the PDF form. It allows breaking of restrictions applied in the form by owner. A same form can be filled multiple times by inserting different data. Provides option to clear all data from the filled form. Form can be zoomed in and out for better vision. Installation of adobe acrobat reader is necessary. 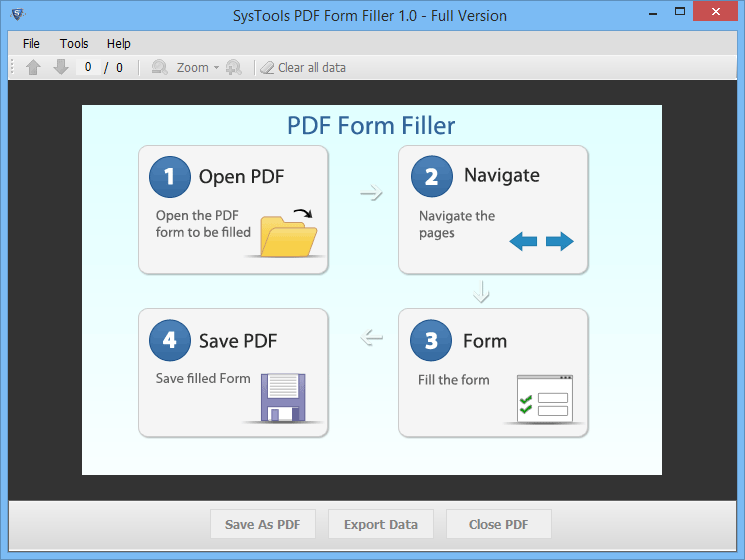 The tool is capable to open PDF online forms. A form can be opened, filled and edited as per the user needs. It breaks all the restrictions provided by the owner which sometimes creates problems like restricting the user to copy content, edit some fields, etc. All those restrictions can be easily removed without changing or disrupting the form. It allows to save your filled form and also impose some basic restrictions such as editing, printing, copying, saving, etc. These restrictions will make your PDF form safe & secure. The form then can be shared with anybody as software pane provides the option of saving the form. The export option is used when user requires to make some changes in the form and also want to save the prior information stored in the form. 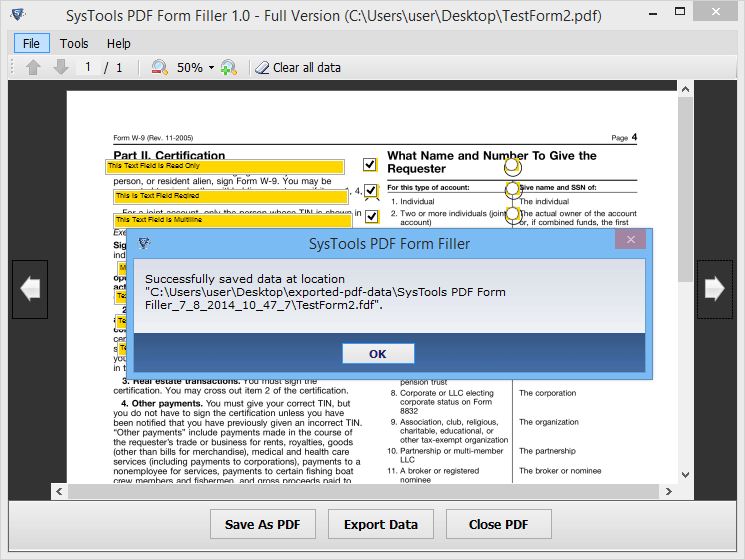 It will export the data from the fields where editing was done and save them in another PDF file. So by this we can fill a single form with multiple data and can save it. 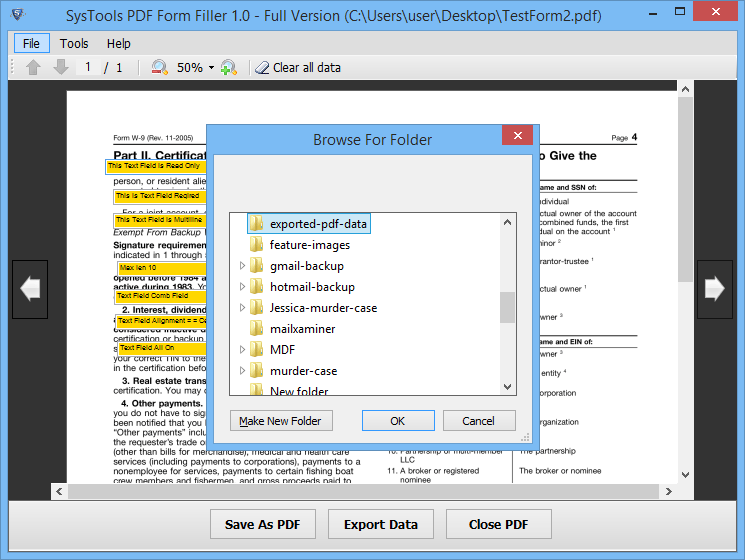 Separate Folder is Created to save the PDF file. It provides convenience to the user to manage the files in a much better way. 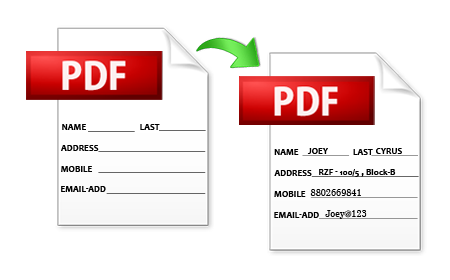 To ensure that user may not come across with any confusion regarding his edited PDF files in future. 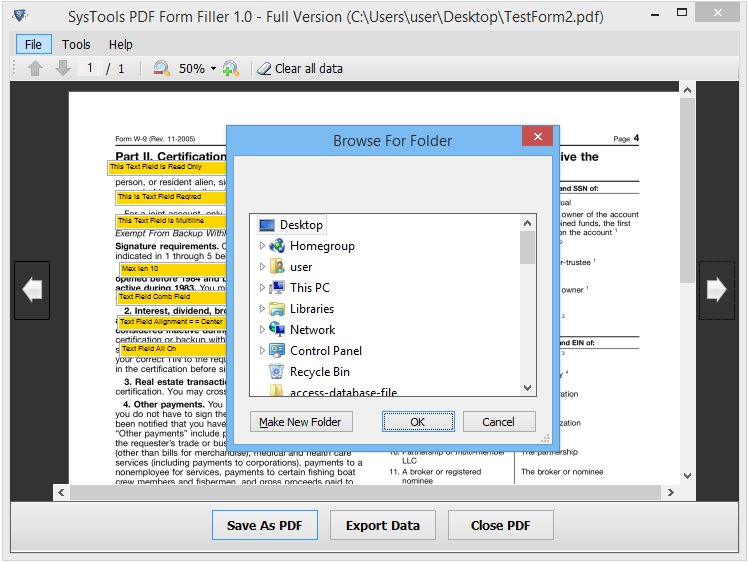 So its user choice to store the new created PDF file at any destination according to his convenience. The tool is so easy to implement, that it proves to be user friendly. No expert knowledge is required to use the tool. It can be easily used by both technical and non technical user. And working can be understood by watching the below mentioned video. The tool comes up with some inbuilt features like it can delete all the information from the fields that was already being filled by someone else, even after they bear some restrictions like no editing, copying etc. As PDF documents are generally opened in the adobe reader. So installation is required to open, edit the form or to fill the form. There is no as such restriction on the version of adobe reader installed. Therefore, before using the tool this should be taken care off. Zoom in and zoom out option is also available in the software to clearly see some minor written information clearly. It will helpful when there are more options and you have to choose only one option. 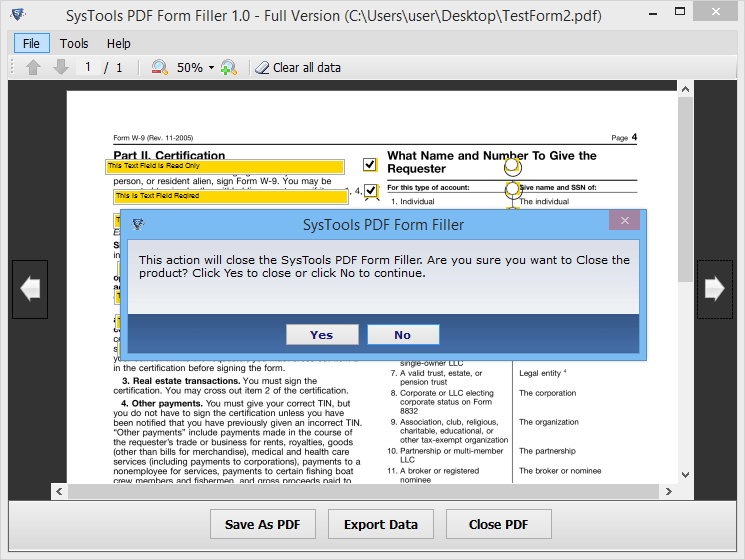 Step 1: Open the tool "PDF form filler." 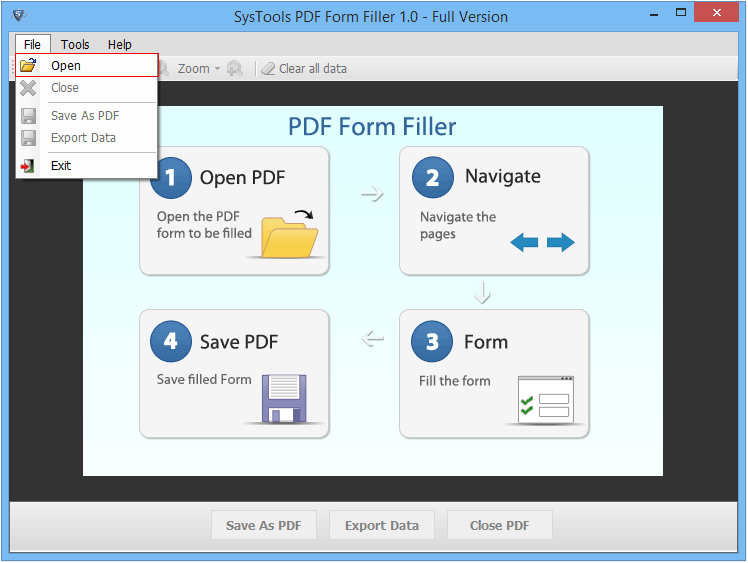 Step 2: Select "File" and click "Open" to open the PDF form from its location. Step 3: Select the file and click "Open". Step 4: The loading process will start.It might take a couple of seconds. Step 5: The form on loading will be displayed, and the fields that are required to be filled will be highlighted, thus making it more convenient for you. Step 6: Edit the form and fill the fields accordingly. To save the edited form, click "Save as PDF"
Step 7: "Browse " the destination location to save the file. 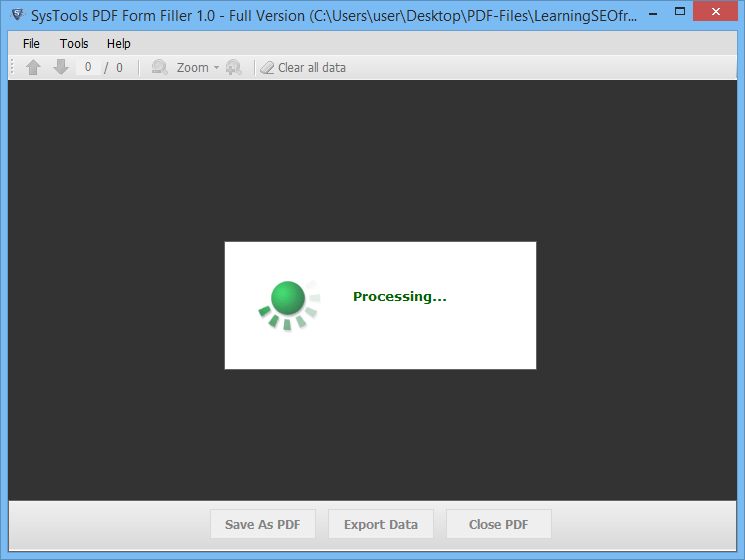 Step 8: On successful completion of the process, a confirmation message will be displayed on the screen. Click "OK" to proceed. Step 9: An "Export" option is also available. In order to re-fill the form with different data, export option can be used. It will extract the filled data and save it in FDF format. Then you can re-edit the form & again save it. 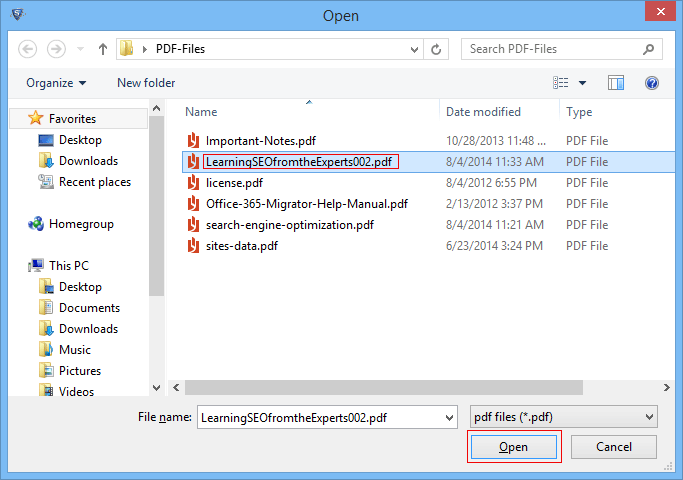 Step 10: "Browse" location to save the FDF file built with Export data option. Step 11: Again, on completion of the "Export" process, a confirmation message will be displayed. Click "OK" and proceed further. Step 12: Exit the application on completion of process. And click "OK" button, displayed with a warning message. I am regularly dealing with forms for some or the other educational purpose. However, the restriction on them makes it quite inconvenient to fill them up directly. So, I chose PDF Form Filler instead of following the long way to get my forms filled. Online forms do not come with the provision to fill them up and that's what makes it so necessary for one to have an application like the PDF Form Filler. This tool has made it so easy to get the restricted forms filled in no time.